You can do a lot to upgrade the appearance of your door such as painting or decorating. However, nothing is better than getting a brand new door to fit the aesthetics of the exterior of your home. Replacing your door is one of the quickest and most efficient ways to make a lasting impression, it is a relatively inexpensive option that will pay more in the long run. In this article, we discuss ‘Benefits of replacing your Door’ if you are considering this. Having a secure new replacement door taking the place of your depreciated old one will certainly increase your safety. Newer doors usually have better forms of protection than older ones. For instance, the glass and steel are stronger and significantly surpasses that of old doors. Their contemporary designs are designed to resist large amounts of force. 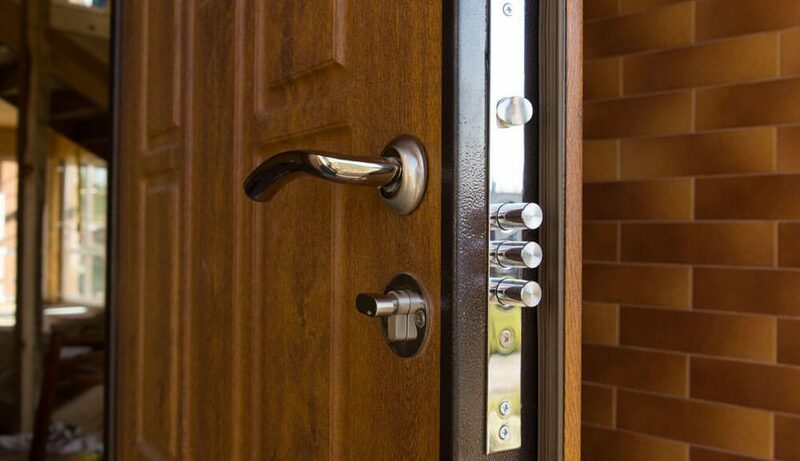 With up to date locking systems, enhancing your door can also mean improving your security. Fibreglass and steel tend to last longer than older wooden styles. These materials are just some of the few things used to make glass. Their outer layering also prevents from swift depreciation so that you can enjoy your door for longer; they resist chipping, bubbling and peeling. Steel, fibreglass and wood, usually last a lot longer, depending on the quality. New modern doors usually have all of these materials combined. Selecting a door that seamlessly coordinates with the rest of your home has never been easier. There is a wide variety of designs and colours available, so choosing the perfect door is very simple. When choosing a new door, it is always important to choose an energy efficient one. Modern doors contain insulation properties which are much better than older ones, this enables them to retain heat during the winter and release it during the summer. Steel and fibreglass have polyurethane foam in them which allows them to resist the unpredictable British weather such as high winds, snow or hail.